The Antigua & Barbuda Tourism Authority held a ‘Media vs Trade’ cricket tournament on 7th September at Richmond Cricket Club. The day showcased a slice of Antiguan island life and drew on the country’s rich cricketing heritage to bring the travel industry together for some informal networking. 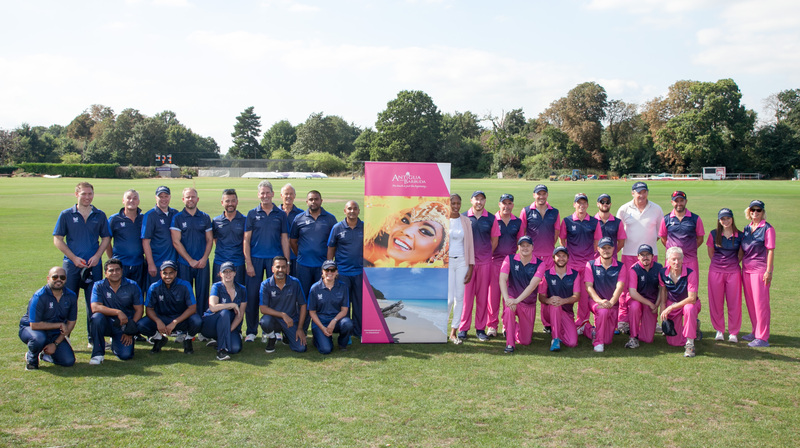 Players included travel, consumer and trade media and hoteliers and tour operators including John Taker, Vice President at GTA Travel and Matthew Prior, Managing Director at TUI Specialist Division. The inaugural event was a triumph with over 70 attendees and is set to be an annual event. The match was played ahead of Antigua hosting the England team to an ODI in March 2017. Hotels are filling up fast so bookings must be made early. The media were the winning team, captained by freelance writer, Danny Buckland and person of the match was Geoffrey Dean at The Times. Medals were awarded to Andy Thesen of Hermitage Bay and Martin Palmer of Travel Day for Pair of the Match (male), Sam Fowler at Hayes and Jarvis and Pauline Gullidge of Sugar Ridge for Pair of the Match (female), Nick Fisher from APL Media and Will van der Wiel from Perform Group for Best Batting Pair, Arthur Martin at the Daily Mail for Best Effort; Andy Thiesen from Heritage Bay for Best Fielder and Geoff Dean for Best Moment for his run out. The cricket match was followed by an outdoor Antiguan BBQ with authentic steel band entertainment. Carnival dancers brought colour to the day and celebrated Antigua’s upcoming ‘Year of Anniversaries’. Continuing on from the 35th Independence celebrations in 2016, in 2017 Antigua will mark 50 years of Antigua Sailing Week and 60 years of Antigua’s Carnival – The Caribbean’s Greatest Summer Festival, and 30 years of Antigua Classic Yacht Regatta.